Commercial fire detection systems from All Time Detection are reliable and offer the highest level of protection for your business. Many businesses need expensive equipment in order to function. However, with the increase of high tech equipment, the risk of fire becomes even more of a threat to your business. 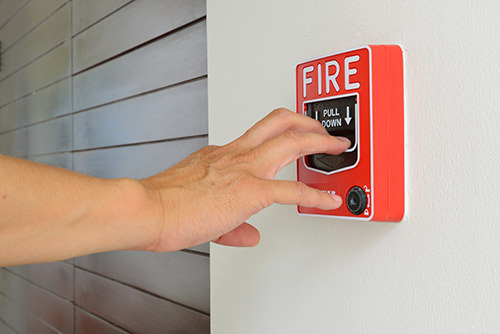 Having a fire detection system that meets all local codes and offers the highest level of protection for your entire property is the best way to ensure the safety of your business, your equipment and your employees. All-Time Detection is a UL Certified protective signalling company meaning that our systems meet the strict high standards that are needed by companies that install fire detection systems nationwide. Our systems are easy to use so that in case of an emergency they can be operated with little difficulty. At All Time Detection, we have been putting the safety of our customers first for more than 60 years and we really understand the need for good customer service. This is why our systems have the ability to monitor 24 hours, 7 days a week, 365 days a year. They also can detect freeze, smoke and heat and can separate one from the other meaning that authorities can be alerted to the appropriate emergency. Our team of highly trained engineers and technicians will design and install a fire detection system in your business in a timeous manner so that you can get on with the job in hand and leave your safety in ours!